other information Outlet CHCD 1010, 1997. 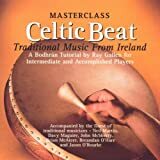 "A Bodhrán Tutorial by Ray Gallen for Intermediate and Accomplished Players." Note that you can use your left-right balance control to turn off the bodhrán to get the tunes from this album. All sound samples here are presented without the bodhrán track.